On Saturday, Sept. 10, anyone looking for fast-paced action and the ability to support a great cause should spend a few hours getting to know the Windy City Rollers. The Windy City Rollers, Chicago’s finest roller derby squad, welcome the Kansas City Roller Warriors to UIC this weekend. In the first match of the night, Windy City’s Second Wind skaters will battle the Kansas City Roller Warriors Plan B starting at 6:00 PM. At 7:30 PM, the Windy City All-Stars face KCRW All-Stars in the main event. At halftime, Melbourne, Australia’s Dizzy Lizzy Delicious will be entertaining fans with her unique hula-hoop, circus, and sideshow talents during the half-time show. The Windy City Rollers were born in 2005 and have been skating at the UIC Pavilion since 2008. 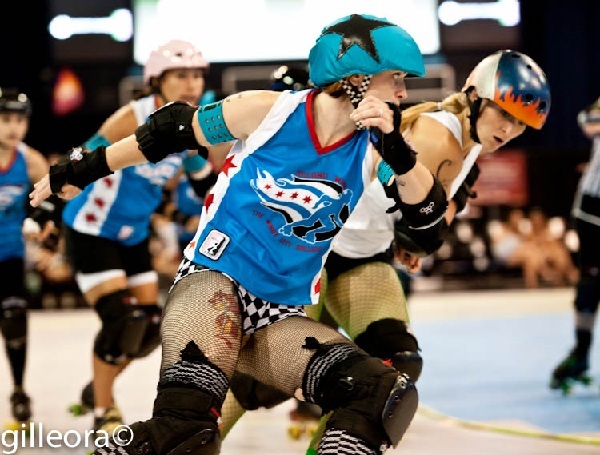 They have been members of the Womens Flat Track Derby Association since its inception, and the Windy City Roller All-Stars are the currently #1 in the North Central Region. During the month of September, Windy City Rollers are partnering with the Wounded Heroes Foundation, which provides support to men and women of the armed forces. On Saturday night, discounted tickets are available at 25% off ticketed price for military and first responders with proper military or first responder identification. 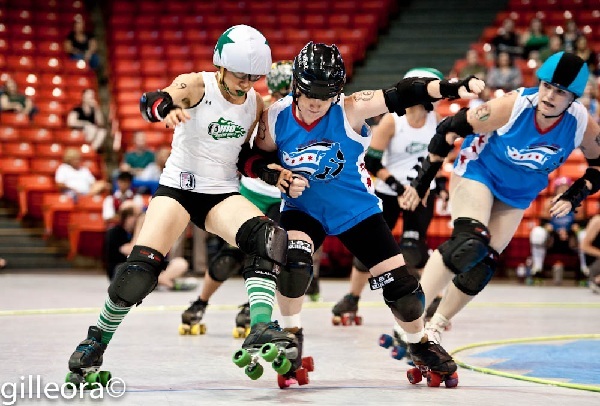 Tickets for Saturday night’s contest can be obtained through the Windy City Rollers website, the UIC box office, or from any WCR skater or official. This entry was posted in Sports and tagged roller derby, Windy City Rollers, Women's Flat Track Derby Association. Bookmark the permalink.